A Sailor assigned to the Arleigh Burke-class guided-missile destroyer USS Jason Dunham (DDG 109) died from injuries sustained while conducting small boat training July 8. 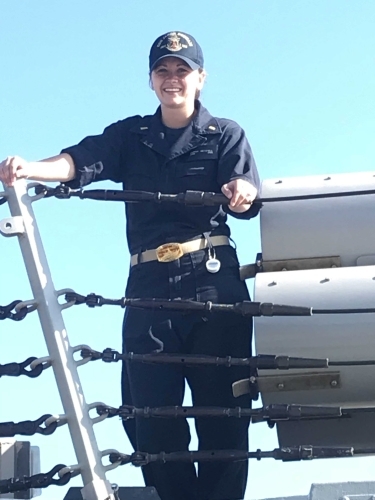 Ensign Sarah Mitchell, 23, of Feasterville, Pennsylvania, was medically evacuated to a hospital in Aqaba, Jordan, and was pronounced dead at 12:45 p.m., local time. No other Sailors were injured and an investigation is ongoing.